Must be something in the air. 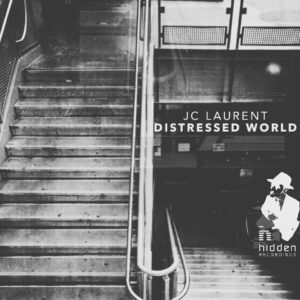 JC Laurent’s Distressed World builds timely, futuristic movements of sound that infuse its surroundings with a sense of telling unease. But then of course that’s the world we exist in right now. Brutal beats provide a smoky structure for the unfolding layers of atmosphere to weave around the drums creating a compelling, haunting experience. The remix comes from Oliver Deutschmann in the shape of a Redub with heavier beats driving it all forwards with renewed vigour, while remaining tracks The Red Wire and Breakthrough complete the urgent call with further clarification.